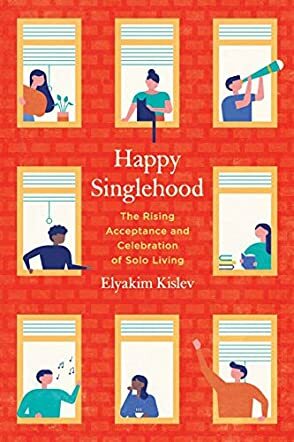 Happy Singlehood: The Rising Acceptance and Celebration of Solo Living by Elyakim Kislev is an engaging book that throws light on singlehood and the next stage of singlehood: the mechanisms that allow a better quality of life for those taking part in this rising trend. The book discusses topics like: How do singles deal with the fear of aging alone? How do singles face discrimination? What are the differences among singles by choice, singles by circumstance, divorced individuals, widows, co-habitors, and married people in how they increase their life satisfaction? and many others topics related to singlehood. It is also a good way to perceive the new reality and make individuals think about it. The topic is relevant and not often discussed, and that makes this a refreshing book to read. With more and more individuals opting for singlehood, this book is good because it looks into all the areas of singlehood and how it can influence life and living in a society where readers are exposed to various sexual identities, where they celebrate different ethnicities, and tolerate a wide array of political views. It is a good book to help readers reflect on society, and will give more confidence to all singles to embrace their singlehood without being ashamed, and enjoy life to the fullest. The author has handled the topic neatly and very well, making it interesting and informative to readers. For all the singles out there, this book is definitely a must-read!